The Painted and Numbered Big Tim Skeleton is budget painted skeleton that has muscle insertions and origins painted on the left side of the skeleton and numbers of important features on the right side. The calvarium of this anatomical model skeleton is cut with moveable jaw mounted on springs. Arms, legs and skull are removable. 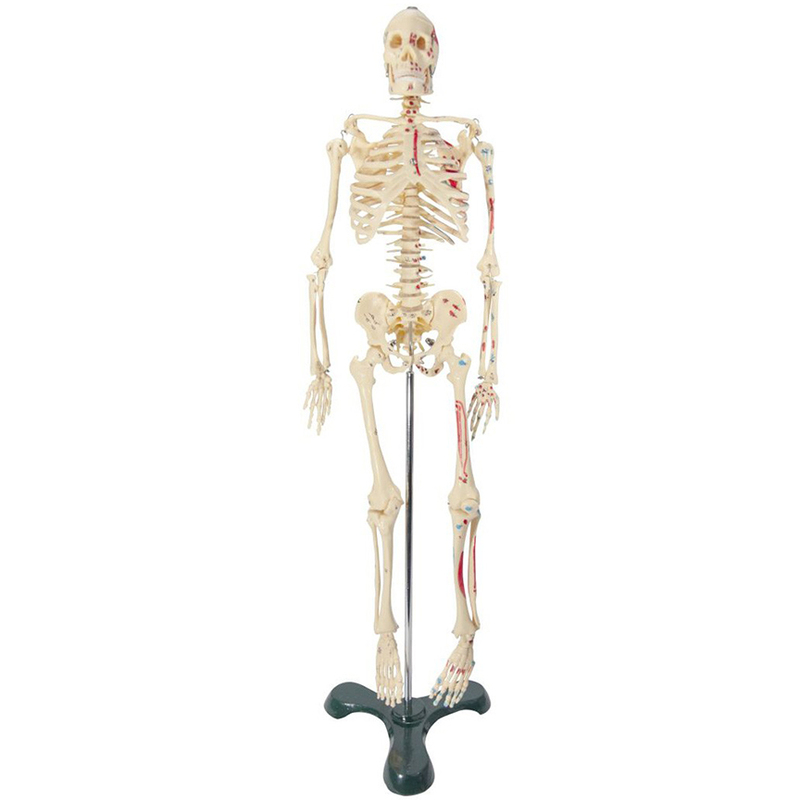 The skeleton model is best used as a display model both in classrooms and in offices, and its basic detailed structure allows it to serve as a great tool for patient education as well. We do not recommend this model for advanced study. Weighs about 4 lbs. Made by Anatomical Chart Company.